When all the accusations emerged about Donald Trump and sexual misconduct, because there were so many, at first I thought most if not all of them must be true. Then, I thought it could be the best orchestrated last-minute smear in political campaign history. But, those two things are not mutually exclusive, are they? If the accusations are true, and I have no way of knowing, it would have been useful to know these things during the primary season. Polls still indicate that both Trump and Hillary have unfavorable ratings over 50%. Those poll results seem entirely reasonable to me. It is amazing to me that the leaks of Hillary’s email haven’t gained more traction, but the Trump campaign has made so many mistakes he might even lose if he were running unopposed. I bought an auto mechanic’s creeper seat the other day and used it to paint the foundation of my house, by wheeling it along the driveway and patio. I thought it might be great for interior painting too, but I used it on the porch. The wheels are designed for hard surfaces, so they left an impression in my porch’s pine decking. If I want to paint baseboards with it, I’ll probably have to put different casters on it. Back to our family vacation. The US Department of Defense runs a resort at Disney World for active duty and retired military personnel. It’s called “Shades of Green.” If you visited Disney a long time ago, it used to be the Disney Golf Resort. Twice a year, in September and January, they make it available to anyone who served in the military and was honorably discharged. I fit in that category, so my wife and I were honored to be able to stay there. It’s very nice. And, it’s self-sufficient. It doesn’t cost the taxpayers anything to run it. Our daughter-in-law, when she travels, takes quite a few photos at night. I like them a lot, so I’ve started doing the same thing. 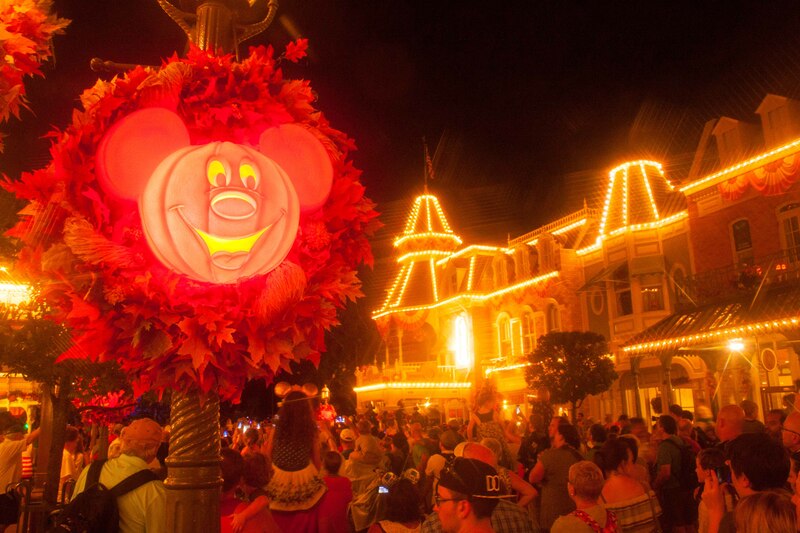 I got a Halloween-theme picture of Mickey on Main Street in the Magic Kingdom. After the Orlando theme parks, we spent a couple of days at Siesta Key on Florida’s west coast. It’s the nicest beach I’ve ever been to. 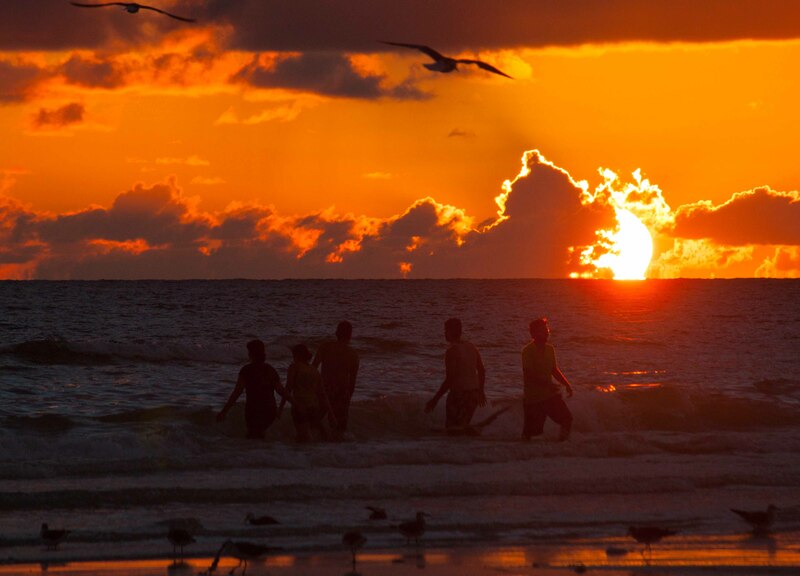 I wanted to swim in the Gulf of Mexico and take sunset pictures. No gulf swimming because of red tide, but I did capture a few pictures of sunset. Finally, we headed back to Orlando and flew home a week before Matthew hit. We had a lovely time. As winter looms, I find myself wanting to move to Florida.